I’ve been enjoying this shellacking of Ubisoft this past week a little too much, I think. 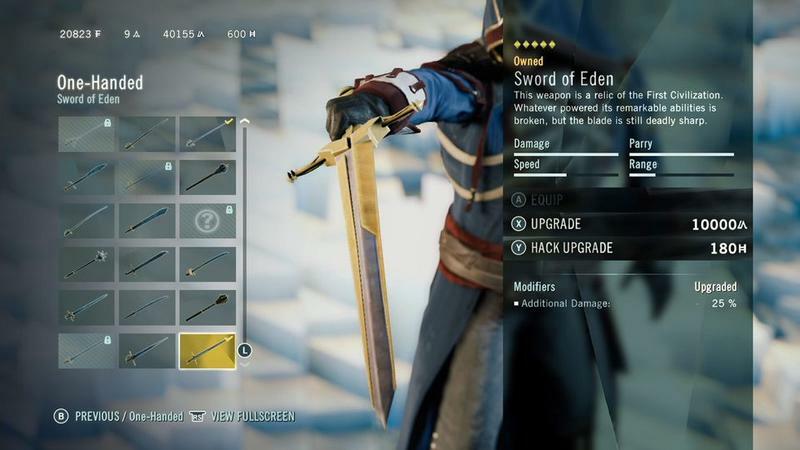 Assassin’s Creed Unity is the latest culprit in exposing the growing fraudulent practices of the AAA video game market, and the gaming media and audience alike have been relentless in pointing this out, Forbes magazine especially. In fact, Assassin’s Creed Unity’s buggy structure and faceless horror people are not the only victims in the cross hairs this week, either. Sonic Boom, apparently a new level of low for the increasingly pathetic franchise, came shipped in the box with a wonderful “infinite jump” glitch that lets you beat the game in mere minutes, and it is home to some ridiculous cutscenes as well. Microsoft too is under bombardment for the matchmaking horrors of Halo: The Master Chief Collection. Tied in with the DriveClub fiasco and Battlefield 4 still barely hovering around functional, the dam finally feels like it is breaking all around us, and nobody is afraid to point out the bursting seams of this fragile and risky business structure of annualized games and monstrous budgets. And while I don’t think this horrible week of AAA gaming is enough to make it implode upon itself, I also don’t think that it will be able keep up its rickety structure if events like these become more annualized than its uninspired sequels. I gave up on buying these AAA games at launch a long time ago, and I’d hate to say it, but if you bought Assassin’s Creed Unity before its ridiculous “12 hour post-midnight launch” review embargo was up, then it’s your own fault by this point. Not screening terrible movies is a practice that Hollywood employs when it knows it has a stinker on its hands, and seeing how AAA gaming is all about emulating Hollywood these days, there you go. Plus, if SimCity, DriveClub, Batman: Arkham Origins, Battlefield 4, Aliens: Colonial Marines, Final Fantasy XIV, and the growing host of games with botched, buggy launches have not been enough to show you that AAA publishers have more interest in impressing shareholders with quarterly reports than putting out a fully-working product, then hopefully this will be the final straw that will. I mean, why miss that ever-important release date when you can fix a game with a series patches over the course of the year, am I right? Give your customers something to look forward to! Just remember all of these rushed titles when you start hearing the load of “gamer first” public relations crap at E3 next year. No matter what extra weapons or nonsense DLC they promise to give you, do not trust these launches anymore! One article I was reading made me think a bit deeper about its choice of words, though. “Traditional AAA Gaming.” Of course, the was referring to a payment option of $60 for a game and leaving it at that as opposed to DLC, microtransactions, and other modern methods of further shaking money from customers. Still, seeing the words “traditional” and “AAA gaming” together pinged an annoyance in my brain and got my muse working overtime. “Traditional AAA gaming.” What exactly is that? There once was a time, back at the start of the seventh gaming console, when “AAA” was a brand new term thrown around as ammunition on “console-war” forums and it strictly referred to the game’s quality. I think the title was granted to anything that wound up with an aggregate score of 90 percent on Gamerankings.com, the standard back before Metacritic, or above a 9.0 from GameSpot, back when people considered it to be the strictest of the review sites. It was a nice system that made a lot more sense than labeling something based on its creator’s financial capabilities. I can still remember the outrage when The Twilight Princess received an 8.5 from GameSpot, and the Nintendo fans went crazy over idea of The Legend of Zelda launch game not being AAA. Funny thing is that Nintendo now wants to avoid the term. Other funny thing is that by these rules, Nintendo has the only original AAA title of 2014; Bayonetta 2, a game that does not meet the modern standard. Assassin’s Creed Unity, Destiny, Watch_Dogs, Titanfall, and that lot that do meet the modern standard, all fall way short of the old one. Can’t have a special label like that if we’re only going to be averaging one new AAA game a year, am I right? Since then, this standard has morphed itself into a moniker that ties itself to only games with the biggest budgets. Why? Because it was hijacked and turned into a marketing term on E3 stages for one thing, and also because nowadays we expect more quality out of more money, a horrible sentiment that will hopefully die out in the coming years. As it stands now, the phrase “AAA gaming” has no basis or foundation in the quality of a game, only the amount of money thrown at it. Seriously, look at the millions and millions of dollars pumped into the 10 studios which developed Assassin’s Creed Unity, and how does it hold up to something made relatively cheaply like Shin Megami Tensei Persona 4? It doesn’t. Persona 4 is a better game that actually works right out of the box. Money isn’t always the answer, folks. If we are to use this seventh console generation as the starting point, this idea of AAA gaming as a budgetary measure has only been around for the last five years or so, and in a medium with a history of about 40 years, calling this practice “traditional” is laughable. I’m not going to naively pretend that the days of real “traditional gaming” were perfect, but its problems hardly stack up to the constant stream of issues we see today. We’ll take them one step at a time. Game killing bugs and botched launches? They are happening more and more frequently, and we are being told to just simply accept them as a standard while publishers figure out how to get it right. Back before the modern gaming scene, developers were able to make games that not only “could” work out of the box but were “required” to work out of the box because there was no Earthly way to fix them. We had broken games too, but none of these were what one would consider “notable” or a “major release,” and other glitches, while not really excusable, hardly broke the experience and even found a way into the franchise lore. These were more like Sonic Boom’s “infinite jump” glitch, and not of the behind-the-scene functionality kind that cripple major releases today. Nintendo’s Shigeru Miyamoto famously said about The Legend of Zelda: Ocarina of Time. While this sentiment is no longer true thanks to patches, the foul tastes left in buyers’ mouths after feeling like they were ripped off for a bad product will forever scar a game. Even if Battlefield 4 works now, do you honestly think people are going to have happy memories of it? Miyamoto’s words still ring true today. Misleading marketing? Back in the early days of CG and 3D graphics, publishers were rightfully criticized for frequently using CG in their trailers as the actual in-engine graphics didn’t come close to holding up to these graphical standards. These trailers were rightfully cracked down on by government standards and those problems seemed to die out somewhere along in the PlayStation 2-era. Nowadays, publishers have discovered a loophole by finding ways to glitz up and fake their gameplay footage, and simply apologizing afterwards by saying they were a little too ambitious when the game first started development. Again, we are asked to accept this as a standard, but the truth is that there is no intention to close this loophole because there are a lot of gray areas in the rules about this. EA avoided lawsuit for Battlefield 4 because a judge said it was “corporate optimism,” but SEGA wasn’t so lucky when it had to pay out $1.25 million for Aliens: Colonial Marines. Even before the PlayStation days and 3D graphics in the NES and SNES eras, we had just screenshots from magazines, catalogs and television commercials to base our purchases on. It was nearly impossible to fake a screenshot or gameplay footage back in those days, but still images don’t show the framerate issues like a lot of games had. More often than not, we were just buying blind or based on the cover, but at least we had the ability to judge a game on its reputation. When buying a game blindly, I would trust the “word of mouth” of other gamers ten times out of ten when compared to the deceptive “snake oil” footage of today’s modern trailers. We’ve all had a game we’ve trusted through a trailer or had a good time going hands-on with at a convention, most people’s was Watch_Dogs, mine was Dark Souls II, only to have it turn up not nearly as good as advertised. It’s a growing trend with no way to block it. Uninspired Annual Franchises? Yes, we had them back then too. They existed. The most glaring example is a franchise I adore in the recesses of my memory, Mega Man. The Blue Bomber had six NES games come out, one or sometimes two every year, before calling it quits. Then he jumped to the Super Nintendo and PlayStation with Mega Man X and closed that approach after eight games. To say that Mega Man had reached the point of repetition that Call of Duty, Battlefield, and the AAA market today wouldn’t be that far of a stretch, but many hold Mega Man 4, 5 and 6 in much less regard than Mega Man 1, 2 and 3. 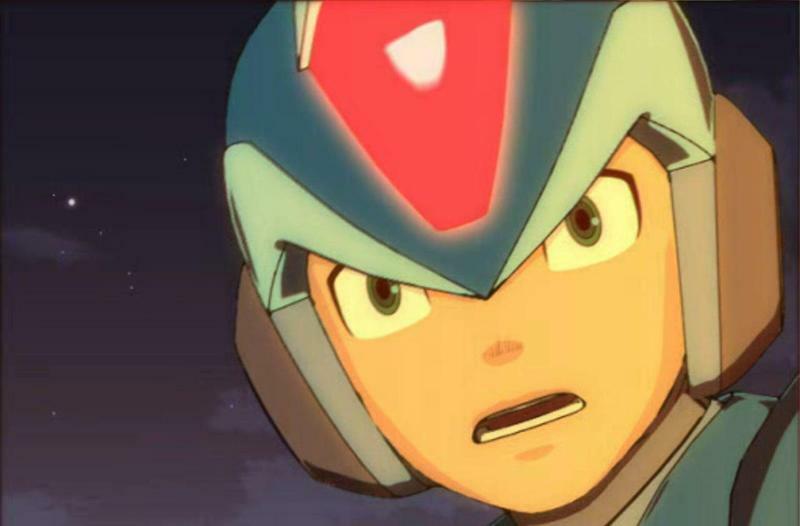 Mega Man X6, X7 and X8 also do not enjoy the same reputation as Mega Man X or X4 and X5 after the PlayStation gave it a boost in quality. Likewise, people still fondly remember how great and influential the first two Modern Warfare games were, both AAA games by the old standard, but it is generally accepted that the series is going through the motions and isn’t nearly appreciated with the same level of reverence anymore. The point is, both fans and even Capcom knew when it was time to move on or shake things up, but that’s what we can barely seem to do today. Advanced Warfare has a science fiction setting? That’s cool. So did Titanfall. Outside of Mega Man, though, I can’t think of many lasting examples of annual franchises. Nintendo always took time to perfect its Mario and Legend of Zelda games to the point where there might have only been one or two per generation. The same goes for Konami with Castlevania and Metal Gear Solid, and even Squaresoft that put plenty of time into developing and changing up the formula of each Final Fantasy game it released back in the day. The franchises from this older age of gaming remain so much more memorable because we actually had the time to slow down and enjoy our games rather than be rank and filed through release after release after release. Financially risky budgets? This is one that can’t be helped really. Games simply cost more to make than they used to. The best part is that despite how relatively inexpensive it was to make something like Final Fantasy VII, people still love and praise a game of its magnitude twenty years later. How many of the AAA games of today will enjoy this level of respect come that time? Not so many. Money can’t buy you immortality. Sadly, the goal of AAA is not to last that long, but only until the following year. “Games as a service,” at its core. There is another area that the older generation can especially brag about controlled budgets too. 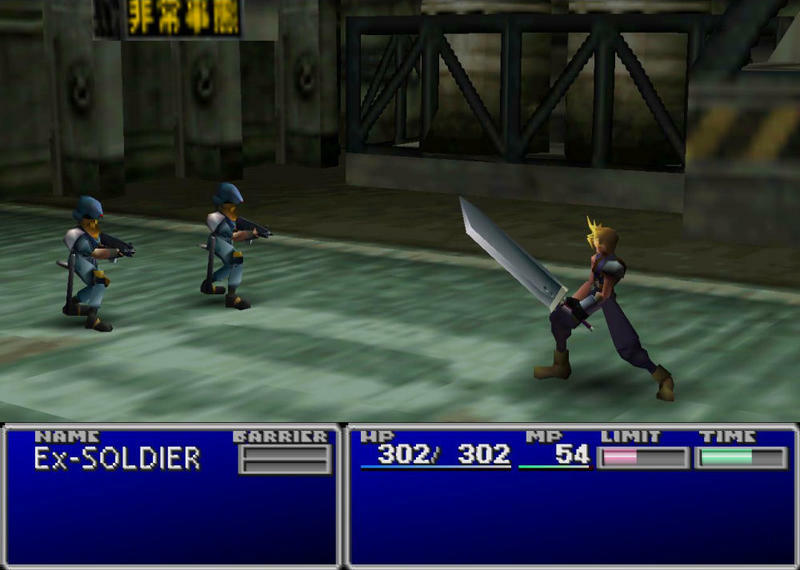 Final Fantasy VII, Final Fantasy VIII and Final Fantasy IX were all huge games with big but moderated budgets, and with all that extra money they saved, Squaresoft was able to make SaGa Frontier, Final Fantasy Tactics, Parasite Eve, Einhander, Vagrant Story, Chrono Cross, Legend of Mana, Brave Fencer Musashi and Xenogears. Concentrating all funds into one or two risky gambles a year kills the opportunity for cult-classic B-tier titles. 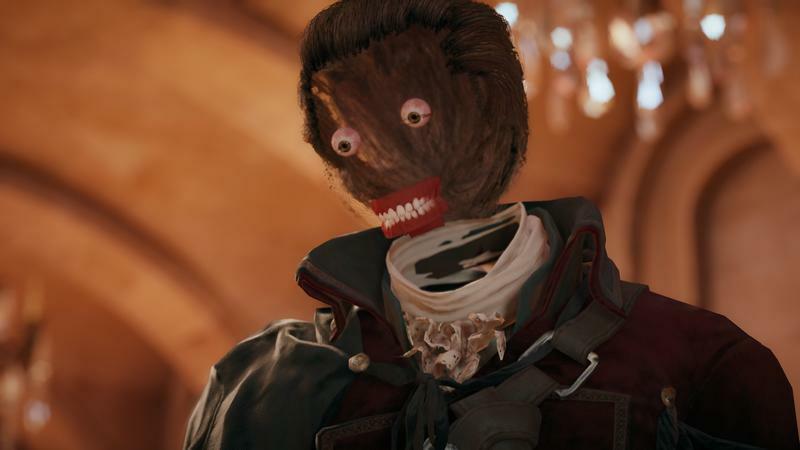 Assassin’s Creed Unity has come under fire for all of this, but it has an extra one to throw on the pile. Microtransactions, including a $99.99 download that unlocks nearly every secret in the game for you. These small payments have been shakily justified for the free-to-play market, recently skewered by South Park, but last time I checked, Assassin’s Creed Unity is a $60 video game, meaning that these people who submit to this are paying on top of a product they already paid for. Who am I to tell people how to spend their money? Still, this is an unprecedented step into console gaming, and there is no comparison for it to the older days of real “traditional gaming,” because we couldn’t connect a console to the Internet. Including such options on top of a premium priced box looks to be the next big battlefield between gamers and publishers come to a clash on, and most likely, we are going to lose again in our compromise. Yes, the older days had plenty of other problems. AAA has done a good job of cutting down on horrible licensed games, despite today’s perpetrators like Activision and EA being mostly responsible for them. When you decide to stop making genuinely terrible games, you don’t have the opportunity to wave that heroic flag of a savior, especially when your means of quality control is replacing genuine crap with uninspired mediocrity. I thought this generation was supposed to be the most gamer friendly yet, but the exact opposite seems to be happening. So what is “traditional AAA gaming?” Simply put, it’s a five year trend that started strong with a promising wave of wonderful big-budget games for a year or two, but all of that has since been squandered thanks to uninspired annual releases, botched launches, broken servers, misleading advertisements, and now the incoming threat of questionable payment plans. It’s a “get rich quick” scheme that has killed the middle class of game development, leaning far too much on huge games to make all the money rather than spread out the profits among smaller good games. It’s dishonest in that it lies about its products to consumers, and it tries to fix these problems from behind by pumping millions into PR firms rather than ironing out bugs and game killing glitches. It’s a lazy practice that would misuse something that could be wonderful like “DLC” and “patches” as excuses to monetize what used to be free content or launch buggy games that can be fixed over the course of a year. It’s a bully that justified its forced entrance because it saw a fun little industry that wasn’t making the profits it could have been. The trade off for these flaws and mistrusting atmosphere is that yes, occasionally, AAA gaming will step up and deliver a few games that live up to their hype and are worth your time. “Traditional AAA Gaming” is not “traditional gaming.” No matter how much Activision, EA, and I guess now Ubisoft would try to drain away the artistic value of games through this horrible “games as a service” ideology, “traditional games” are not going anywhere. People think Nintendo is struggling because it doesn’t have the AAA third-party support it needs to make a quick buck, but I believe it is wisely keeping its distance so it can survive on its own when this monstrosity all comes crashing down. Its slow and steady stream of great games from its own hall look all the more impressive everyday. Not only does the slow burn make each and every one stick in your memory and feel fresh, it also enjoys a window of opportunity to test its games to make sure they actually work before putting them out. Not all of the big publishers are to blame for this nonsense either. Bethesda and Take-Two have also done a good job spacing and balancing out their biggest releases like The Elder Scrolls, Fallout, and Grand Theft Auto to avoid this repetitive image, and they have backed these with smaller budgeted hits like The Evil Within, XCOM Enemy Unknown and Spec Ops: The Line. Wouldn’t you know it; Take-Two had record-breaking profits last year! I know Bethesda tried its hand at the modern online market with The Elder Scrolls Online, but maybe it can get back to the business of what it does best now that it has that out of its system. The middle class of gaming is not quite dead yet either with companies like CD Projekt Red developing The Witcher 3: Wild Hunt on a fraction of a budget than something like Assassin’s Creed Unity. Guess what, it looks a lot better too. 4A Games made Metro: Last Light and United Front Games sported Sleeping Dogs, both mid-tier games made at a fraction of the cost and considered better than most of the big budget releases they were competing with, the biggest of course example being Watch_Dogs. In that matchup, Sleeping Dogs is clearly “top dog” from the voice of the people. If only there was a way to rescue BioWare out from under this umbrella. Across the ocean, there is still Atlus, who keeps it real, keeps it small, and it is also the most exciting Japanese RPG company these days. There is also From Software, who has had to teach Japanese developers to find their gusto again and not get lost in this mess. Platinum Games is also always around to keep alive the dream of great Japanese action games. I can only hope and pray that Square Enix abandons its plans to remodel its image to look like these AAA ranks, especially after realizing how it nearly destroyed them. Please, get back to the business of making great Japanese games. A Tomb Raider or Just Cause 3 release here and there is fine, but do not annualize this trend and do not sacrifice your niche for this mainstream backing. It will not support you in the long run! Final Fantasy XV and Final Fantasy Type-0 HD are a great way to continue winning fans back, and the American Nintendo 3DS market would still love to see your Dragon Quest VII. Small profits are not bad profits, and you used to understand that in the PlayStation days. Capcom and Konami are also still hanging in there, and maybe they can be saved if this volatile atmosphere ever wavers. However, I think of all the lesser-known companies we’ve lost to this trend, and it makes me really sad that they are never coming back. Just to point out that this isn’t a complaint against the hard working developers of these games either, working ’round the clock to patch these messes probably as we speak. This is mostly aimed at the corporate fronts of the big companies and their cold, heartless business decisions. I think it is understood that these people’s creative input is stifled in the trenches of big game development, as is proclaimed once they flee the indie scene, and I’m sure that these programmers and artists work their tails off to at least make these games miraculously functional at release. It also goes without saying the decision to release a broken game is far beyond their control. What’s more, they are probably Internet dwelling gamers just like you and me who have to suffer through people criticizing what is beyond their control. I get a little miffed when people criticize something I write on a lazy afternoon, but I can’t imagine having to deal with my audience ripping apart something I poured three years of my life into. Sadly, this criticism is necessary to make sure it doesn’t happen again. Based on recent trends too, it will be these poor souls who will be laid off for a game under-performing critically and maybe financially, not the executives who rush broken products to market shelves in time for Black Friday. CEOs and executives of these AAA gaming companies like to say that big games are great for the industry, but as a person who belonged to the gaming crowd back before “traditional AAA gaming” took off, I would like to respectfully disagree. I spend roughly 90 percent of my gaming on a Nintendo 3DS or PS Vita, watching this fiasco from afar, and that is mostly because this handheld scene is where “traditional gaming” has found a nice little home. It’s a scene that that AAA market would love to see disappear because they can’t quite seem to exploit it properly, and it eats into its cheap free-to-play mobile revenue. EA COO Peter Moore even proclaimed it won’t be around in “some shape or fashion by then on a scale level” by 2017 and 2018. 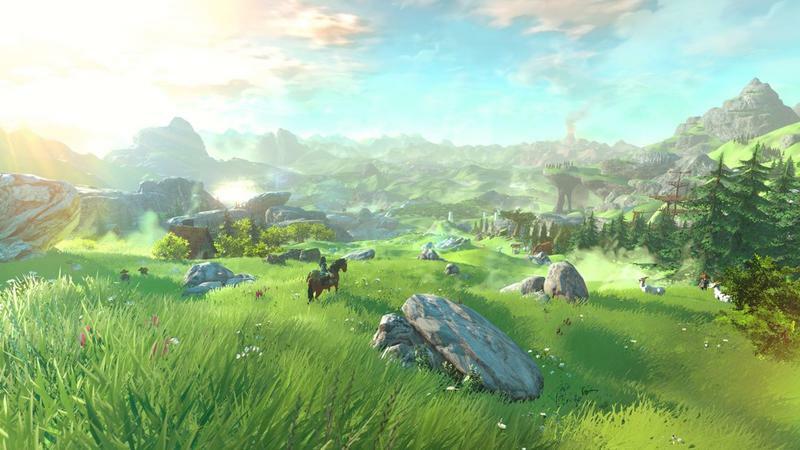 However, returning to Shigeru Miyamoto, he believes that there will always be a place for “traditional games,” and I agree. Even if the 3DS and PS Vita are killed off by smartphones, it will find a way to thrive. And when the AAA market has suffered one too many angry weeks like Assassin’s Creed Unity or frustrating years like Battlefield 4 have just put us through, and all of these weak structures comes tumbling down because of lost consumer trust, I feel secure in knowing I am a safe distance from it with a rich history of wonderful “traditional games” from a much more genuine age to keep me occupied while the companies who are smart enough to avoid this disaster rebuild it. 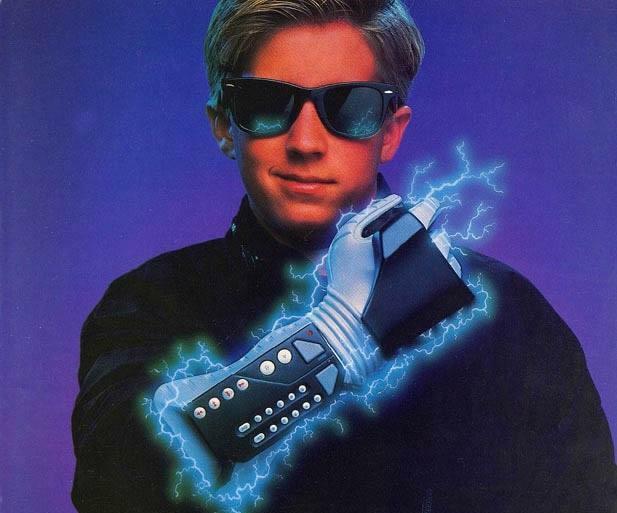 I’ll say it before and I’ll say it again: “Traditional AAA Gaming” is not traditional gaming, and we were doing just fine before it came around and messed everything up.